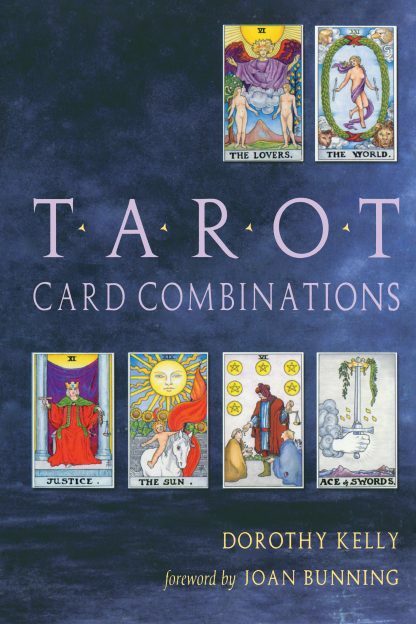 Tarot Card Combinations is a unique, comprehensive, and highly practical presentation of interpreting the tarot that has helped thousands master the ancient divination. Dorothy Kelly's easy-to-understand approach shares everything one needs to know to unlock the story presented when the cards are drawn. Like other tarot reading guides, basic tarot definitions of the major and minor arcana are included, as well as explanations of basic layout, and how to interpret upright and reversed cards. What makes this book unique is Kelly's presentation of cards in endless combinations, revealing how the cards relate to each other and endowing each card with richer meaning and more subtle nuances than when considered alone. Beginners will learn the basics and be presented with an easy to follow organic system of learning to interpret the cards. Intermediate practitioners can build on what they already know and for advanced readers, Tarot Card Combinations will provide new insight and food for thought. With illustrations showing 2, 3, 4, and 5 card combinations of cards in the popular Waite deck, Tarot Card Combinations is as beautiful as it is informative. Reading tarot cards one after another never reveals the rich meaning of cards considered together. Use Tarot Card Combinations to unlock the depth and meaning of stories revealed in the tarot. Dorothy Kelly has been working with the tarot and teaching others for more than two decades. This book is the result of her frustration over the lack of books available to her beginning students that deal with the cards in combination. She lives in Australia.